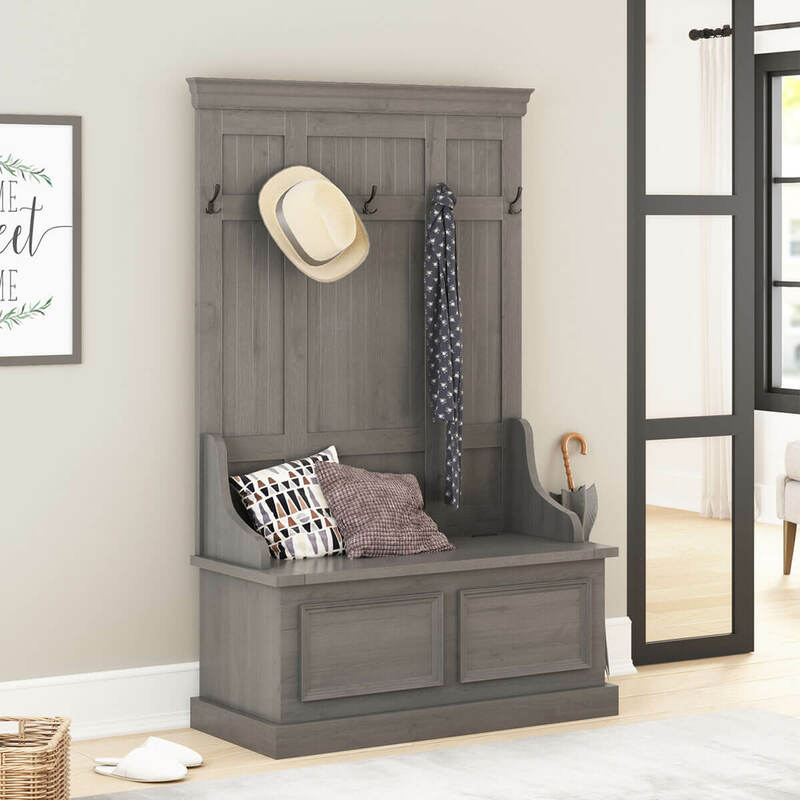 Effuse your home hallways and foyers with a classy rustic ambiance by furnishing with our Redvale Solid Mahogany Wood Grey Hall Tree Bench with Storage! 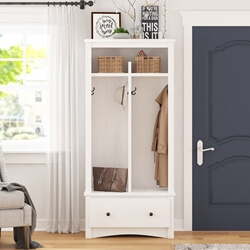 The simple looks of this piece are complemented by a sleek design and a stylish visual grace that can make any entryway, foyer, or hallway look absolutely stunning. 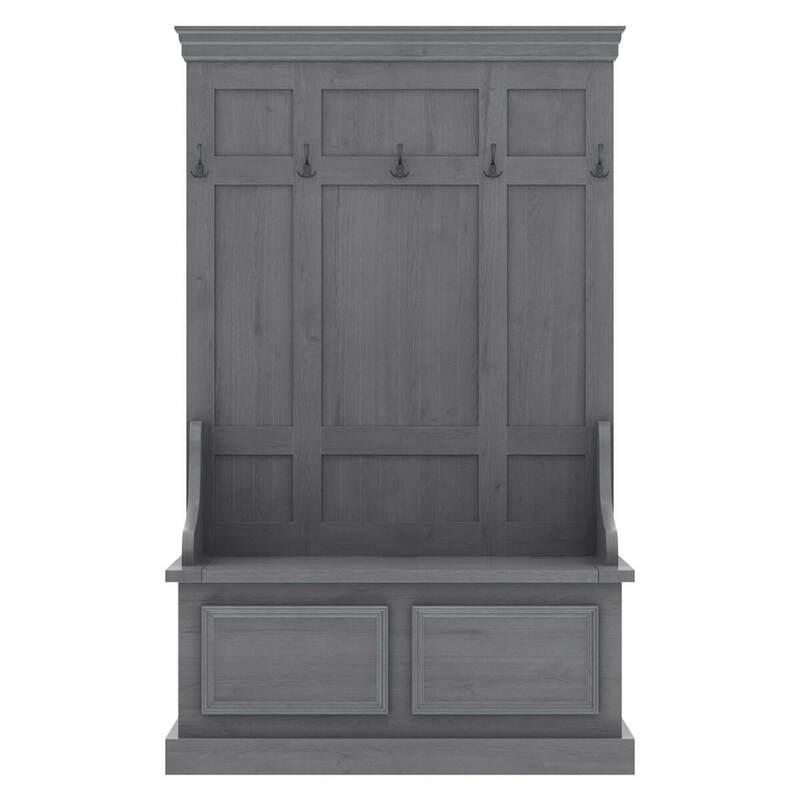 The rustic accents and hand-rubbed finish give the solid mahogany wood hand craftsmanship a lot more nuance and couple well with its great heirloom quality. 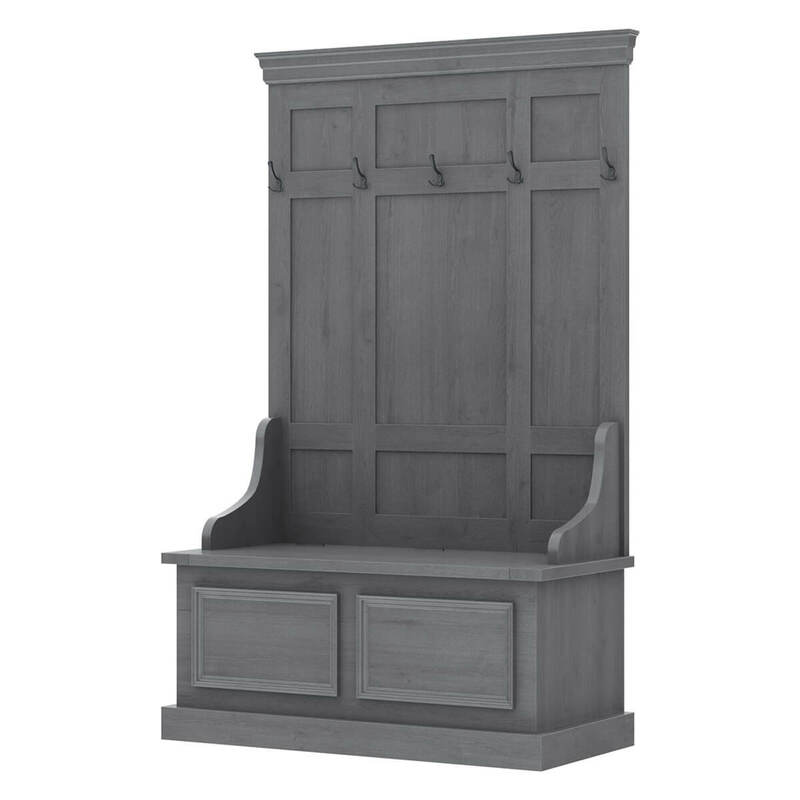 The design of this hall tree itself is elegantly plain, with only the necessary functional elements acting as an embellishment. 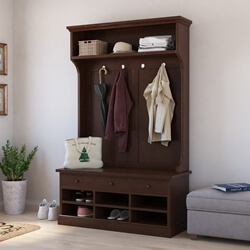 With its cornice-like top frame and a stylishly tall middle, it’s perfectly suitable to become the centerpiece of any mudroom. The five 3 prong hooks have been strategically installed at an adequate height so you can easily hang your hats, coats, etc. 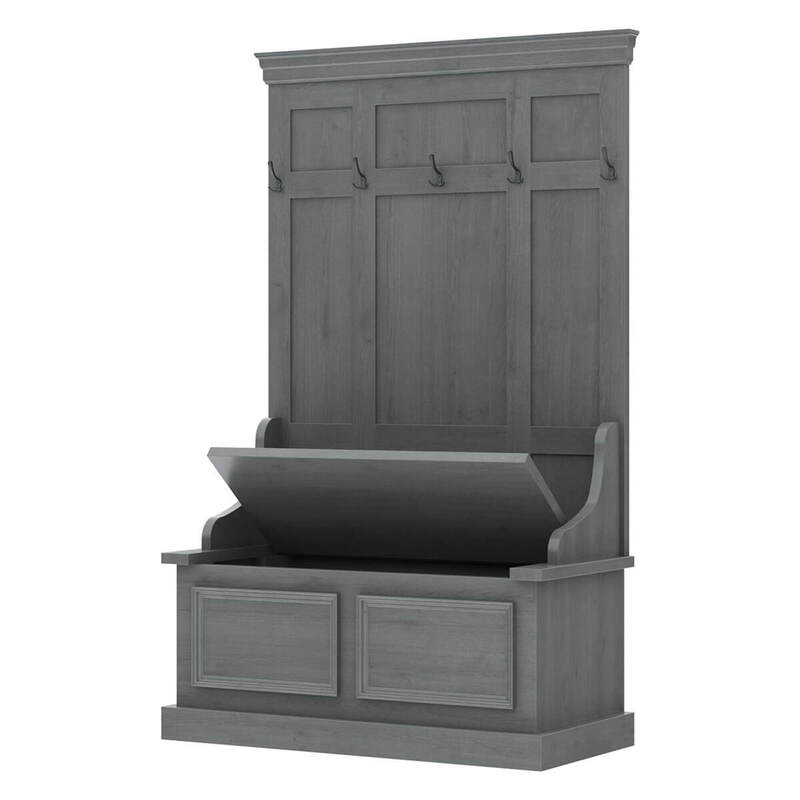 The bottom half is connected to this back-frame with simple corbel-style extensions. 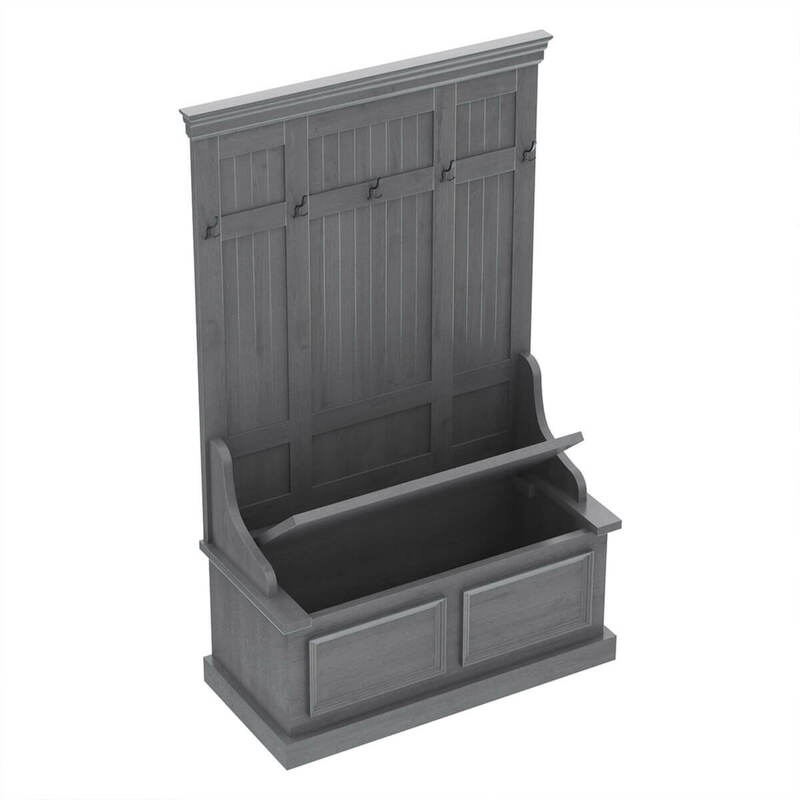 It’s actually pretty unique – instead of featuring the typical drawer-style look, it has an extended top-frame that opens like a trunk, has a beveled wainscot-like embellishment at the front, and is supported by a platform base. 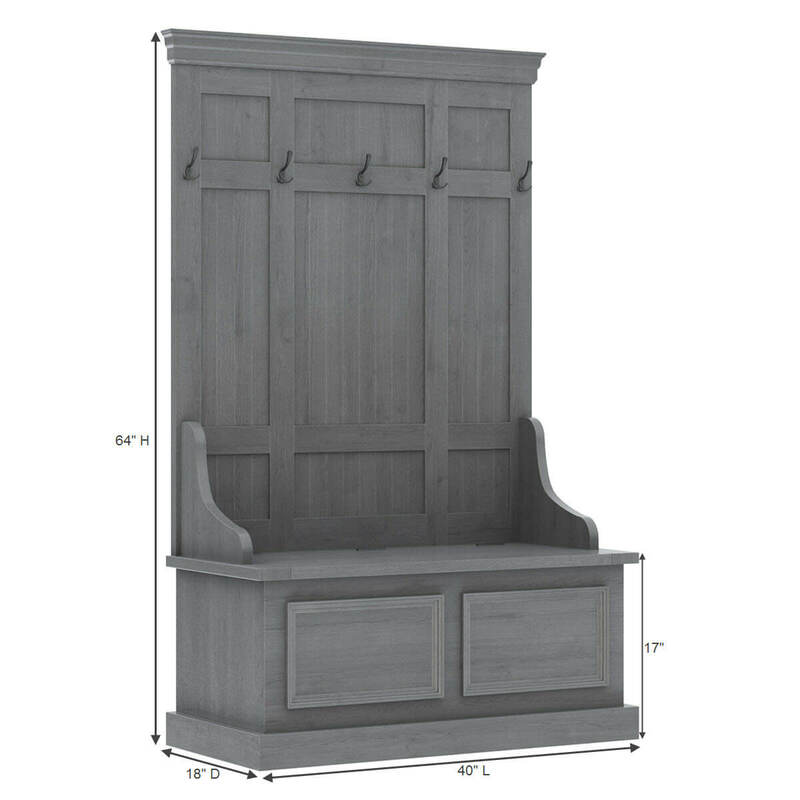 The beautiful natural finish of this solid mahogany wood hall tree bench is complemented by a great visual versatility. 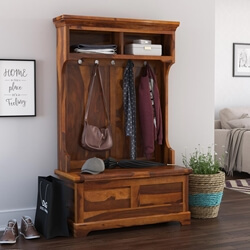 You can easily pair it up with all sorts of interior design ambiances, including but not limited to rustic, contemporary, transitional and more.